Looking for a way to keep your dog's coat fresh between washes? 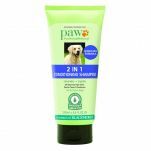 PAW Rose Aroma Grooming Mist is a gentle alcohol free grooming spray which strengthens and de-tangles the coat, making grooming easy. 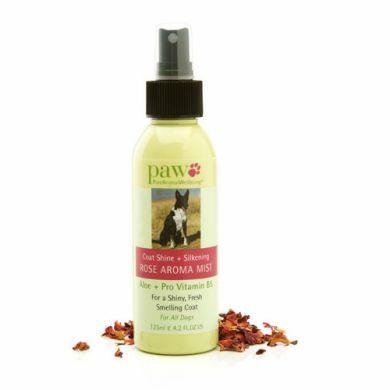 PAW Rose Aroma Grooming Mist comes in a 125ml recyclable bottle with ‘Quick Spray Control’ which works at any angle for easy & effective application to all areas of the coat. Gentle smoothing and detangling properties for a silky soft coat. Rich moisturising components for coat health & skin nutrients to strengthen your dog's hair follicles. Natural essential oils of rose water for a beautiful fresh scent.